Comprehensive enterprise security solutions for today’s mixed device environments. Enterprise security is a necessity today. In every industry, data security threats are real—from small intrusions to global threats that make headlines. Most of the time, it can be the unsuspected or unauthorized devices on a network that introduce the biggest threats. The challenge facing every business today is to develop a comprehensive and layered security strategy to protect their networks, their data, and their reputation. From entry-level firewalls to advanced data center devices, Inovity offers comprehensive security solutions to protect your users, secure your environments and protect against targeted attacks, all without compromising performance. From employee-owned devices to cloud networks, you can’t always control your infrastructure. Today’s security is not always about the known and reported problems, it’s more about what you don’t know. So how do you rethink security? As a value-added partner with Trend Micro™ and Fortinet®, we offer industry-leading security solutions. We will work with you to customize a multi-layered solution offering protection to meet your changing and evolving security needs. From industrial control systems to BYOD and the Internet of Things (IoT), Inovity helps you stay agile and maintain your reputation, keep your network secure and your data safe. By partnering with the top security developers in the industry, Inovity provides innovative solutions for server, cloud and small-business content and device security. Our solutions protect end users on any device, optimize security for the modern data center, and secure networks against breaches from targeted attacks. We deliver client-server, network and cloud-based protection that stops new threats faster, detects breaches better, and protects data in physical, virtual, and cloud environments. Our broad, integrated and high-performance approach protects against advanced threats while simplifying the IT security infrastructure. Ready to learn more about protecting your business? 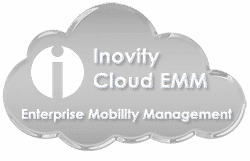 Contact a Inovity Security Consultant today for a complimentary security analysis.